It’s been nearly two decades since Mel Gibson and Helen Hunt starred in the original “What Women Want”. That PG-13 romantic comedy didn’t have much to say beyond basic romantic clichés and playing off Gibson’s popularity at the time. “What Men Want” is a different film altogether. It’s rated-R, giving Oscar nominee Taraji P. Henson (“Hidden Figures”) the chance to exercise her raunchy comedy muscle. “What Men Want” is from producer James Lopez who said “I think because of the times we are in, in terms of gender equality, the Me Too movement, Times Up, women are more empowered than ever and it felt like the opportune time to make this movie and have a role reversal.” Lopez is no stranger to backing similarly themed films. He warmed up the crowd at the Texas premiere in Dallas by thanking the audience for making his previous films “Girls Trip”, “Night School” and “Think Like a Man” hits. Ali Davis (Henson) is the only female sports agent at Atlanta’s biggest firm. She has brought in more high profile athlete’s than any of her male colleagues. When a new partner position opens up, word is, it’s finally Ali’s turn. However, like many firms where gender politics play a role, she is yet again passed over for a junior agent who is white and male. “You don’t connect with men,” she is told by the owner. Determined to outshine the guys, her sights are set on the number one NBA draft pick Jamal Barry (Shane Paul McGhie) who is managed by his overprotective father (Morgan). Following a tarot card reading from a very unusual Sister (Badu), Ali wakes up with a gift and a curse, hearing men’s inner thoughts. This new advantage provides her with endless opportunities to even the playing field, but will her new found power be used for good or self-destruction? Running at two hours, it overstays its welcome in favor of unnecessary subplots. “Ninety-percent of my stuff is improvised,” Texan Erykah Badu said during the regional premiere. This isn’t the four time Grammy winner’s first round as an actor, but she said the project was welcoming and loads of fun. Lopez said despite delivering a very entertaining film, themes on fatherhood are some of the elements that will stick with the audience after the credits roll. The screenwriters have made sure there’s humor for every type of viewer. Lopez’s success with the raunchy “Girls Trip” full embraced that R rating to go places that still make people blush. The need for vulgarity in this script feels desperate to tap that same audience, without delivering the outlandish behavior. 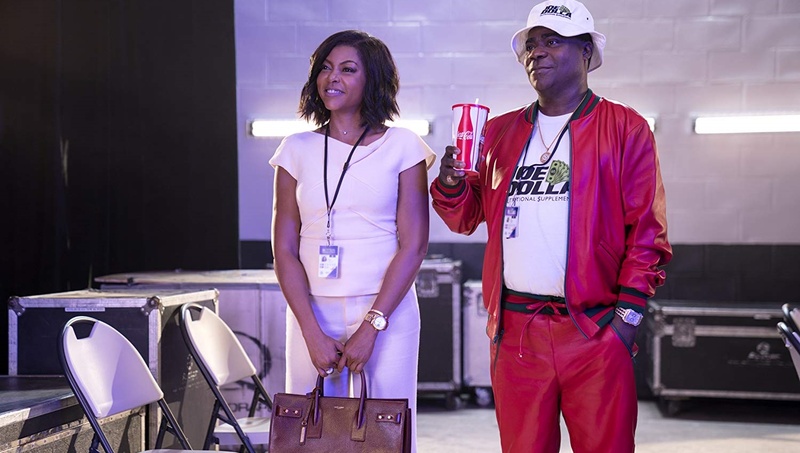 Henson is more entertaining than Mel Gibson, and playing off the current social climate does give relevance to “What Men Want” that was missing in the original. Beyond that, it’s just clichés and stereotypes. It’s not funny or entertaining enough to mask that feeling of “I know where this is going, can we hurry up”. Running at two hours, it overstays its welcome in favor of unnecessary subplots, like the one involving Pete Davidson and Brener. The script is trying too hard and ends up a bloated comedy that would have been better served doing less to achieve more. There was never a doubt that Henson could be funny, her Oscar nominated performance from “The Curious Case of Benjamin Button” remains one of her most complex. In nearly everything bearing her name, the Golden Globe winner elevates the material to a higher level where she does again here. This gender-flipped version works better than the original mostly thanks to Taraji P. Henson.